In the Romanian speaking world, there are few issues more divisive than whether or not “Moldovan” is a separate language than Romanian. Romania: Only Romanian exists – Moldovan is just a dialect. And the only right way to write the language in the Latin alphabet. Republic of Moldova: Romanian and Moldovan are sometimes two different languages, sometimes not, but it’s always written in the Latin alphabet. Unless you’ve got some older books, in which case it’s in the Cyrillic alphabet. Ukraine: Romanian and Moldovan are two different languages, but both are written in the Latin alphabet. Serbia: Only Romanian exists, and it’s in the Latin alphabet. Pridnestrovie: Moldovan and Romanian are two different languages. Romanian is written in the Latin alphabet. Moldovan is written in the Cyrillic alphabet. To begin with, Romanian falls squarely in the category of a “Romance” language or one that is primarily derived from Latin. More specifically, it’s part of the “Eastern Romance” family, a category that includes four languages. When people say “Romanian”, what they really mean is “Daco-Romanian”. The other three languages in the Eastern Romance group are Aromanian, Istro-Romanian, and Megleno-Romanian. None of this is disputed by anyone. So, what makes Aromanian (or any of the others) a separate language but Moldovan just a dialect? Well, that’s where it gets complicated. Because there are no “official rules” about what separates a language from a dialect. In 2008, linguists decided to craft a “scientific” way to distinguish whether a language was a separate entity or just a dialect of another language. The way they did this was to measure the degree of differentness between two languages. Essentially, if more than half of the words of Language A are intelligible to speakers of B, then B is a dialect of Language A (or vice versa). Which makes sense. According to that standard then, Moldovan is indisputably a dialect of Romanian (or vice versa). But that standard doesn’t match political reality. And that’s just some of the European ones! Furthermore, Spanish and Italian share about 60% of their words in common, but no one would ever think to call Italian a dialect of Spanish (or vice versa). Therefore, mutual intelligibility isn’t a useful metric for determining the difference between a language and a dialect. The theory put forth by Romania, the country, is, therefore, one of “ethnic solidarity,” that all peoples who speak the mutually intelligible language should call it Romanian. Furthermore, in honor of the language’s roots, it should be written in the Latin alphabet. Originally written in the Cyrillic alphabet, Romanian only started to be written in the Latin alphabet following the 1848 nationalist uprisings across Europe. In the Republic of Moldova, things are a bit more complicated. During most of the Soviet period, the official language was indisputably called Moldovan, and it was written in Cyrillic. In 1988, however, (before the Soviet Union ended), Moldova decided to switch to the Latin alphabet while still calling the language Moldovan. In 1995, the Moldovan Constitution declared the national language to be Moldovan. Later, some decrees declared that the national language is Romanian. Currently, some Moldovans (primarily those who support reunification with Romania) prefer to think of their language as Romanian. 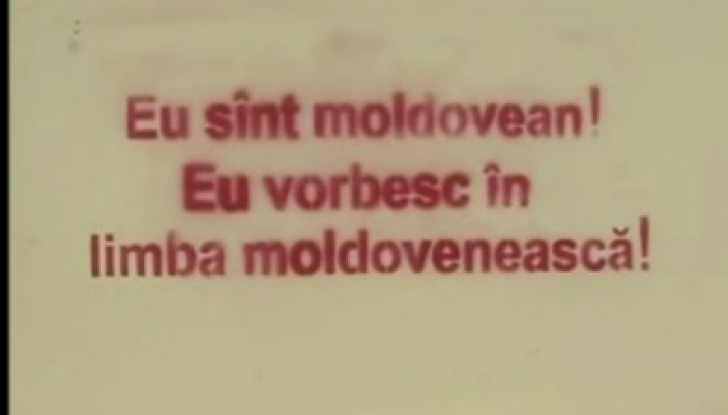 Other Moldovans, however, prefer to think of their language as Moldovan. It’s an extremely divisive issue, and I’ve heard people in Chisinau arguing about it in public several times. But one thing everyone agrees on is that it/they should always be written in the Latin alphabet. Oddly enough, while Moldovan was always the name of the language during the Soviet period, there were some years when it was written in Latin. But most of the time, including in the latter decades, it was written in Cyrillic. For 900 days during World War 2, Pridnestrovie was occupied by fascist Romanian troops, and Latin script Romanian was forcibly imposed. This led to a clear and lasting cultural distinction between Moldovans (local residents) and Romanians (foreign occupiers). In 1992, Pridnestrovie declared independence from Moldova. To this day, the government continues to teach in Moldovan using the Cyrillic language, including at the university level. 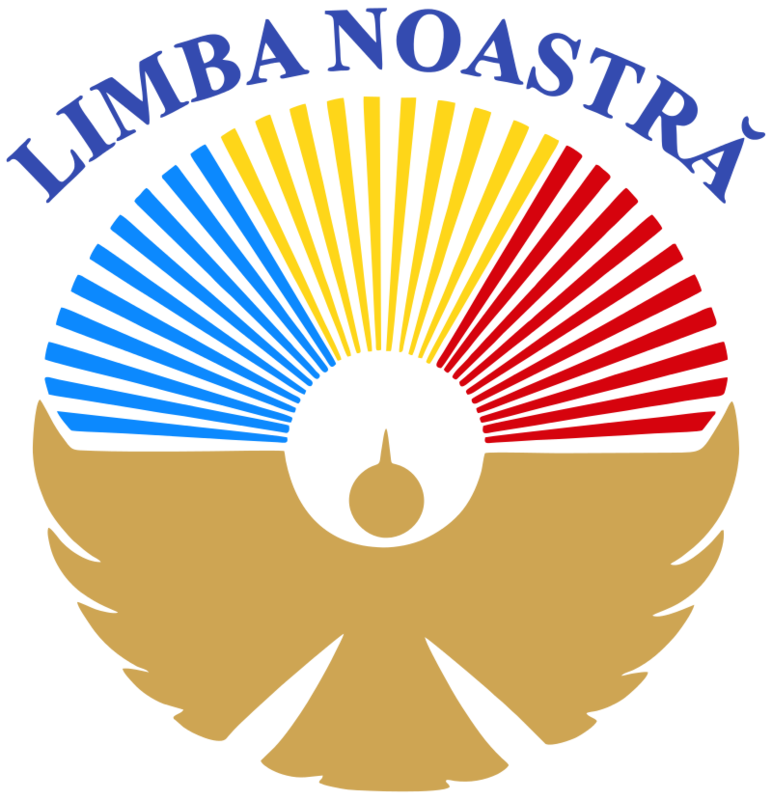 The government of Pridnestrovie is, therefore, the only supporter of (Cyrillic) Moldovan philology, poetry, and literature. Romanian is a completely separate language, written in a separate alphabet. Romanian is, therefore, a foreign language while Moldovan is one of the three official languages. Serbia only has a handful of speakers, and all of the textbooks and printed materials are supplied by the Romanian government, so there’s no issue about what to call the language. The traditional peoples in Serbia who speak the language also think of themselves as ethnic Romanians. In Ukraine, the situation is a bit mixed. 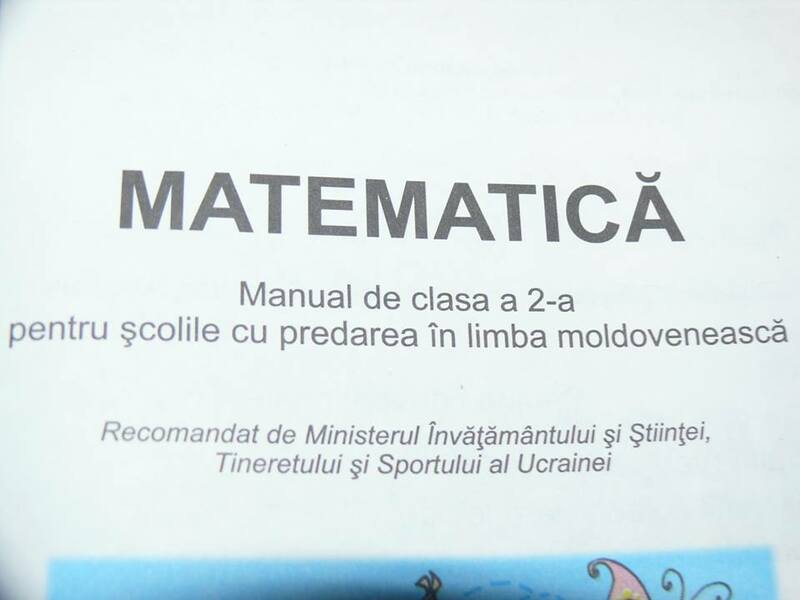 There are around 12,000 people in Ukraine learning Romanian in school and around 400 learning Moldovan, both versions written in the Latin alphabet. Textbooks are supplied by the Ukrainian government. The students in Ukraine learning Moldovan are all in the Odessa Oblast and consider themselves to be ethnic Moldovan. Romania’s appeal to ethnic solidarity is emotionally stirring but weak on linguistic merit and historical truths. In terms of the alphabet, I’m here to tell you that Cyrillic is far more suitable to the language than the Latin alphabet one is. Therefore, the only argument for using Latin is one of self-image. If you feel culturally closer to western Romance languages like Italian and French, then using the Latin alphabet makes sense. In terms of history, Moldova and Wallachia were separate princedoms for hundreds of years. The two were only briefly joined twice, for a few months in the 17th century, and for 59 years as part of the Kingdom of Romania (1881-1940). That’s it. During the Soviet period, Moldovans were fraternal brothers with a lot of Slavic nations, including Russians and Ukrainians, both of which use Cyrillic. Even today, most Moldovans feel culturally closer to Ukrainians and Russians than they do to Italians or French people. Most Moldovans also speak Russian while most Romanians do not. Furthermore, there is a lot of evidence that Moldovan has changed/evolved less over time than Romanian, therefore, Moldovan is actually the “purest” form of the original language. Recognizing Moldovan as a distinct language from Romanian accurately reflects the different histories, alphabets, literature, and cultures of the people of Moldova from the people of Romania. Serbia: We don’t know enough about Moldovan to vote. Therefore, you all sort this out, and we’ll go along with it. Ukraine: Look, we’ve got enough language problems of our own as it is. If you crazy people want to argue about what to call your language, that’s your business. Pridnestrovie: How hard is it to understand that Moldovans are completely and totally different than Romanians? It’s so obvious. Romania: You are all inferior! Bow to our superiority. We invented the language. It is pure and beautiful and amazing. And anyone who fails to recognize this is a dirty traitor. Moldova-1: We love you Romania! Please love us back. We will do anything if you’ll just accept us. Moldova-2: Wait a second. We’re not a lost region of Romania, we’re a sovereign country. Haven’t you ever heard of Stefan Cel Mare? He was Moldova’s greatest king. Romania: No, he’s not. We appropriated him. He’s ours now. Moldova-1: What? Oh well. Okay. You can do whatever you want, just love us. Moldova-2: Hold on a minute. We’re an independent and proud nation. Romania can’t just go around telling us what to do. Romania: Sure, we can, you lousy Commies. Pridnestrovie: How can you turn your back on the history of your language? Romania: Shut up, you dirty Russian puppet! You’re the one poisoning the issue with your filthy Cyrillic alphabet that you impose on our estranged Moldovan brothers. Serbia: Hey now. We’ve found that it’s actually okay to use both the Latin and Cyrillic alphabets. We’ve done it with the Serbian language. There are advantages and disadvantages to each one. Serbia: Sorry, sorry! We’ll be quiet, now. Ukraine: Just quit arguing and settle this. We have other stuff to do. Romania: Fine. Agree with me or you are my enemy forever. Moldova-2: Well, if that’s how you’re gonna be about it, we’re out of here! Moldova-1: No! We’re sorry, Romania! We promise to only refer to it as Romanian from now on. Pridnestrovie: You people really are nuts. 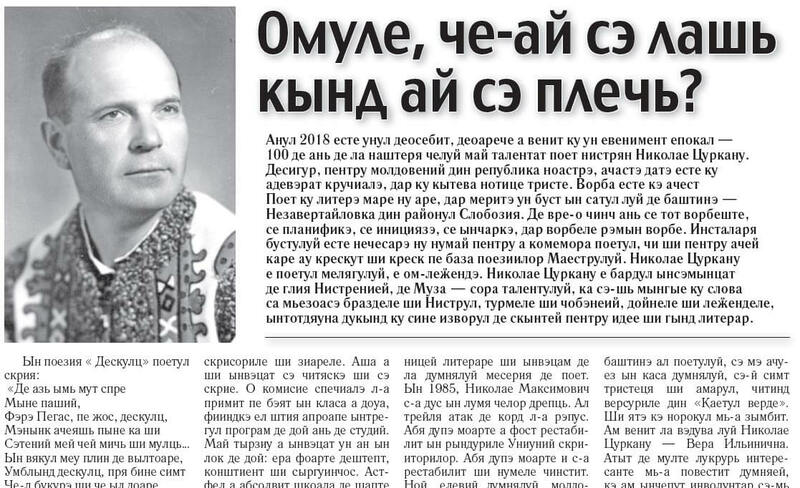 The official narrative is that Romanian is the mother language (rather than Moldovan), that the Latin alphabet is the only acceptable alphabet to use, and that all variants spoken and written by Moldovan people are simply corrupted versions of “correct” Romanian. But this doesn’t really match the reality on the ground. Most Moldovans feel distinct from Romanians, have a distinct history, a distinct culture, and even a distinct country. Moldovan also has a solid case for being the older, more historically “authentic” form of the language. There is, therefore, an extremely compelling case for recognizing Moldovan as a separate language from Romanian even though it is mutually intelligible with Romanian. IMO you’re not right. Why should RO recognize “Moldovan” as a separate language when said language suffered all these artificial mutations? P.S. – I’m sorry, but whoever considers that we’ve appropriated Ștefan cel Mare clearly has no notion of history. Moldovans use him because they have few other choises and none other as powerful. Ștefan was the leader of the Wallachian principality of Moldavia, with the capital at Suceava, was born at Borzești (Romania) and rests his eternal sleep at Putna Monastery, also in Romania. What about the other half of the historical region o Moldavia, bigger than the Relublic of Moldova, that is now part of Romania? They should also have a say in this quarrell.